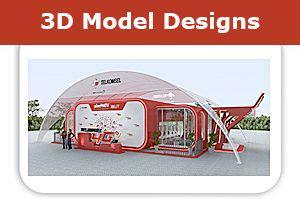 Get ahead of your competitors by getting a professional 3D rendering design, custom logo, graphic design services and promotional products for your company in MI from Capital Exhibits. Whether your business is in Detroit, Grand Rapids, Warren, Sterling Heights, Lansing or any other area in Michigan, MI you will find that our contemporary 3D rendering design, large format printing services & graphic designers will give your brand the boost it needs. 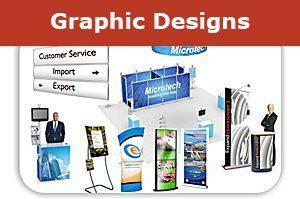 Our affordable print design services consist of trade show display designs, business cards, flyers, banners, brochures. Capital Exhibits is here to build your best image. We start by having knowledgeable sales personnel who are ready to help you decide on the right products. Then, one of our professional 3D rendering designers, Vinyl printing services & graphic designers will consult with you to come up with the best graphic design idea for your company. Capital Exhibits has the experts and top products that, together, offer quality graphic design services for trade shows and day-to-day business alike. We have a wide variety of products for trade show displays like tablecloths, banner displays, tabletop displays and kiosks. The banner design artists at Capital Exhibits can make unique designs and logos to improve your branding efforts and get the highest ROI on your investment in our products. We also offer rentals and package deals that are very affordable. To see a full listing of our products, go to SHOP. We pride ourselves on being knowledgeable and available to our customers. We work diligently to get you the products you need as quickly as possible. Our customer testimonials are filled with phrases like “excellent customer service and great prices” and “hats off to the graphics folks for excellent work.” Let us show you the same level of quality and care! Not sure what you need? Call us at (866) 730-3746 and we can help answer any questions and consult with you on your business goals and how we can help you reach them. For logo design prices, print design pricing, t shirt graphic design prices and graphic design quotes & rates, just visit https://www.capitalexhibits.com/request2.html to get a value customized quote for the products you need. Don’t waste another second with your outdated brand – contact us today. Just give us a call at (866) 730-3746. You can be sure that you’ll be given prompt service and a great deal. Also, you can send an email anytime to. Let’s start building your best image today!